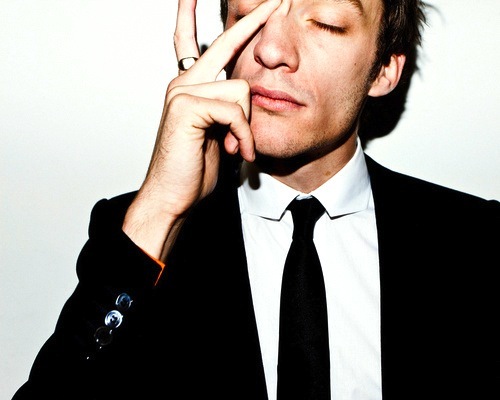 British electro wunderkind Alex Metric is a resident DJ on BBC Radio 1 and has released numerous EPs over the past two years. It all started at a party one night when Metric decided to approach electronic pioneer Adam Freeland. The latter soon signed him to his label Marine Parade, where Metric released his debut EP, What She Wants. Although roundly embraced by ravers and deejays alike, it was not until Alex turned his attentions to his own vocal offerings that things really started to get interesting. Alex started to push his grinding electronic output in an increasingly pop-centric direction while still mixing together 80s synth pop, filter disco, big beat and indie. The subsequent In Your Machine EP was a jewel of genre-breaking electronic that brought Alex both critical and commercial success. Keeping up the momentum, Deadly On A Mission did yet more damage, and gave the greatest indication yet of what to expect from Alex’s forthcoming album – quirky, offbeat vocals backed with fuzzy, cracked-at-the-edges synths and huge singalong choruses. After his triumphant releases, Alex promptly received an avalanche of remix requests from big name acts such as Hard Fi, Alphabeat, Ladyhawke, Phoenix, Fenech Soler, La Roux and Gorillaz. October 2009 saw Alex launch his live show by supporting Phoenix at Brixton Academy. Since then he has played packed shows throughout the UK and is gearing up for an eventful summer, with appearances at Glastonbury, Global Gathering, SW4, Bestival and Iceland Airwaves later in the year. Why is Stylo not available anywhere?? It’s magnificent!